This post was written by Anna Lemos, a key researcher and creative content writer at CompanyFormations 24.7. 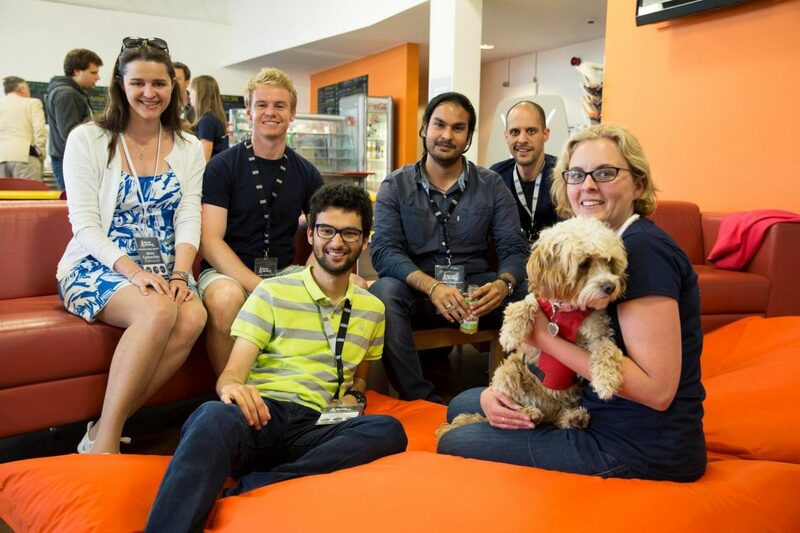 After writing a piece on Exeter as a startup hub, I was invited to a Startup Weekend. To my delight, I wasn’t simply there to document the event, but was registered as a participant to get involved and team up with the entrepreneurs at the event. The participants ranged from second year university students to company owners, and even a lawyer who wanted to try something new. The event went something like this: Pitch – Vote – Test – Form Team – Brain Dump – MVP. We were lucky enough to have the director of Startup Weekend, John Beadle, who had flown in from America to facilitate the event. Alongside 6 coaches and mentors, a panel of judges made up of 5 startup experts and The Innovation Centre at the University of Exeter, it was clear that any one of our ideas could become a reality thanks to the support and facilities. Entrepreneurs; if you want to kick start an idea, then you need to get involved in a Startup Weekend. 12% of teams at Startup Weekend actually go on to forming their own company. Not convinced? Check out my highlights video and read the breakdown of the event below to get a real flavour for what this is all about. Official registration time was at 5:30pm. After your name was ticked off, you had a lanyard around your neck and a Startup Weekend T-Shirt, you were ready to mingle. Dinner and ‘networking’ ensued (more like friendly chatting) before the welcome presentation and keynote speakers launched the whole event. This is where the fun began. The welcome talks by John Beadle (Director of Startup Weekend), Jim Hill (Immersify) and Laurence Oakes-Ash (Exeter City Futures) got us buzzing. A few team exercises followed before the 60-second pitches. Now, the great part about the pitches was that you didn’t have to come prepared. If you’d had an idea there and then, you could get up and pitch. Within the pitches, you had to highlight the problem, your idea of a solution (which could be very vague) and what skills you needed in your team. Everyone was then giving 3 sticky notes to vote on their favourite pitches and to start to form teams. At 9pm, we could start work. We were all supplied with business canvases to help us structure our ideas. The bulk of the work was done on Saturday. With Immersify giving us challenges and encouraging us to do some field research in the city of Exeter, our ideas really started to take shape. All the groups left the University campus at one point or another to talk to their target demographic. Lunch was served at 12pm – note, all meals were included in the ticket – and coaches arrived just after lunch to start getting down to the details of our business plans. Long hours of work led to our 6pm dinner, and the day finished at a time that was dependent on the team. My group only wrapped up for the day at 9:30pm. Sunday was crunch time. We had to power through to compile our research, get our designs and business plans to a good stage and work on our 5 minute presentations. At about 3pm, we had tech checks and practice pitches before the 5:15pm final presentations. The judges, Laurence Oakes-Ash, Tom Langdon-Davies, Richard Eckley and Georgie Hazell, deliberated and came to their final decision. The best pitch from Friday – awarded an iPod Touch – and the top 3 teams were announced with the winning team getting a fun prize. Most importantly, some of the judges put forward their interest in helping certain teams move forward – that’s how good some of these ideas were. We then had a celebratory dinner, exchanged our last business cards and bid farewell to the participants, the organizers, the judges and the coaches. It will be interesting to see which teams take their ideas forward and bring them to market. It is important to realize that this event isn’t about identifying a viable startup idea by crowning a winner, but a learning curve for all involved. The teams worked hard on their individual business plans for the final presentation, getting to a 'proof of concept' stage in just 54 hours. This normally takes months. Not only was this an educational experience, but a fantastic networking event too. Making friends with a diverse set of people was a great aspect, but finding potential co-founders and experts as well as contacts for the future was an unbelievable opportunity. My team was incredible (runners up in the competition), the other participants were inspiring and the feedback given by coaches, mentors, volunteers and judges alike was priceless. Thank you Nat Collard for inviting me to such a spectacular event and good luck to those who are going to take their ideas to the next step.